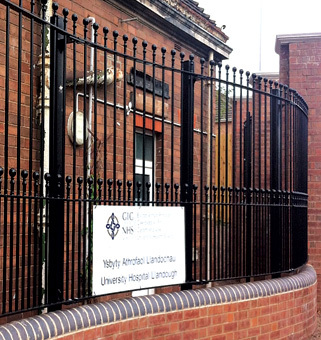 All our fencing systems can be complimented with gates to suit. At J&G, all gates are manufactured to the relevant British Standard, and we can manufacture any size of gate required by our clients. Our gates are designed to be low maintenance and high quality, with a range of styles and colours available. In addition to manual gates, we are able to offer automation and access control systems for all types of hinged and sliding gates. 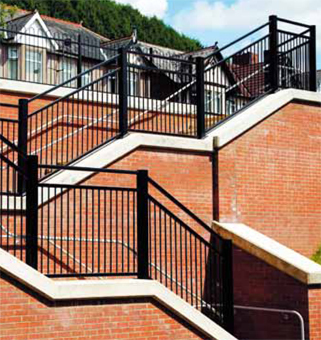 We provide a wide range of railings and guard rails to meet client design and specifcation. 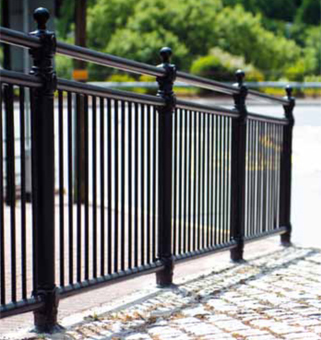 Typically galvanised and PPC coated steel, we can manufacture and install railings in a range of styles and sizes. 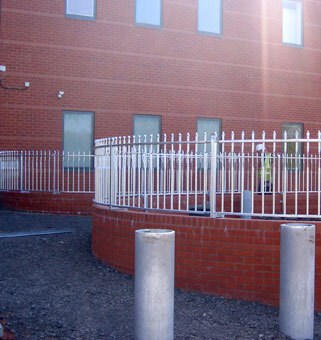 Our range extends from simple, cost effective installations to more bespoke designs. We can also offer ROSPA spec in all styles.